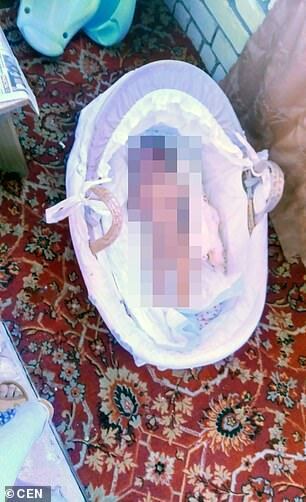 A three-month-old baby was dumped naked on a balcony in freezing temperatures by her Russian mother because she ‘pi***d her off’. 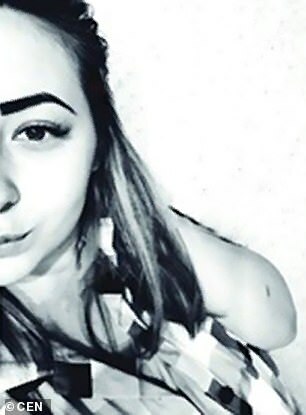 Elizaveta Klimova, who is in her mid-twenties, left her crying daughter outside before taking photos and sending them to her ex-husband and the baby’s father, Aleksandr Potryasov, 28. The startling pictures, which Klimova’s ex made public by sharing them online, show the three-month-old baby crying while lying in a basket. He told local media: ‘I posted the pictures to deprive my ex-wife of parental rights. After the pictures, I am afraid of what she is capable of doing to my daughter. Mr Potryasov said he is not able to take care of his daughter as he ‘is working too much’. 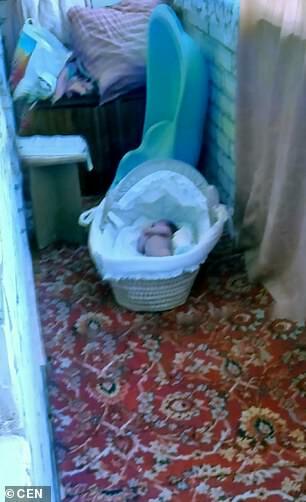 After the pictures became public, Ms Klimova accused Mr Potryasov of ‘leaving her alone with the baby without money’. According to Ms Klimova’s neighbours, her ex left soon after their daughter’s birth and moved to the neighbouring town of Volsk. The former spouses had a tense relationship that became even worse after their divorce, according to reports. Police checked the pictures after they were posted online and the story became public. A police spokesperson said: ‘After checking the people involved, the police found out that the pictures were taken in October this year. The baby was examined by medics and her health condition is normal. Temperatures in Balakovo in can drop to below freezing in October, which is when the incident happened.